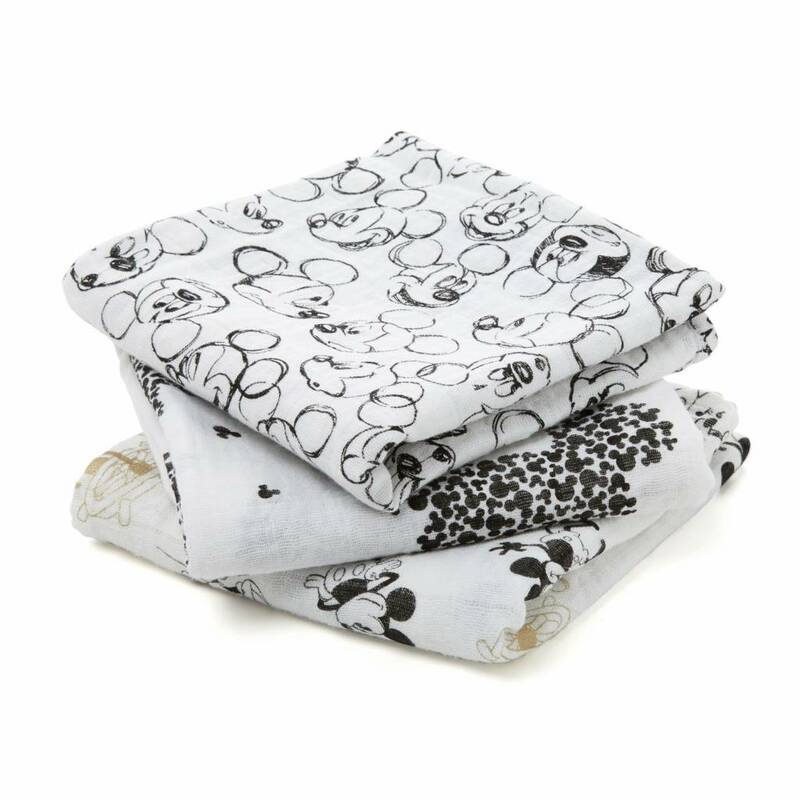 Here comes Mickey Mouse as a cuddle cloth set. 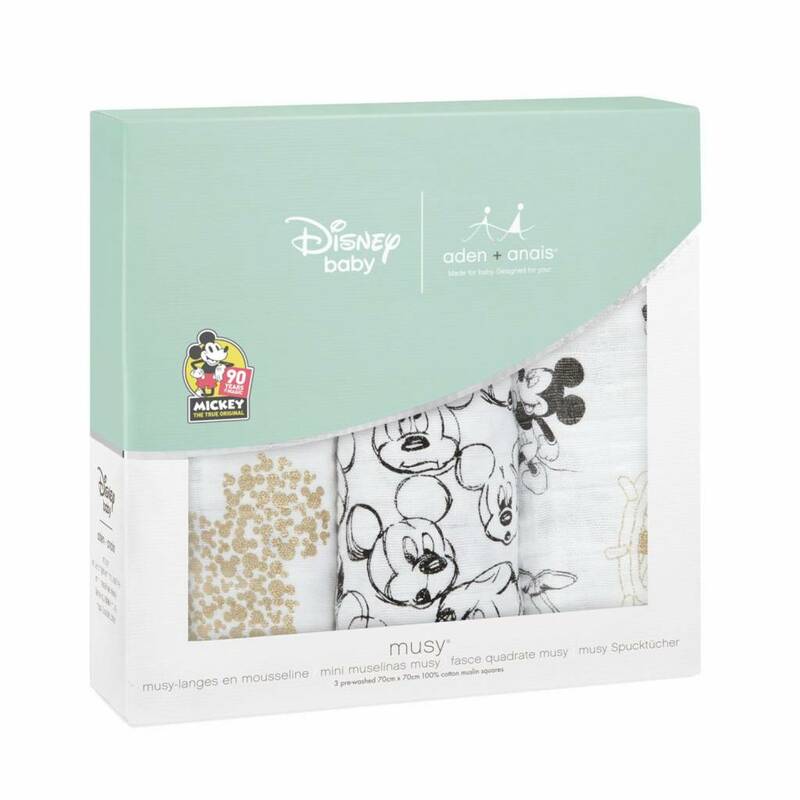 In cooperation with Disney, Aden + Anais has designed a beautiful and imaginative baby collection. These magical Mickey designs are inspired by Disney's hand-drawn, nostalgic Disney designs. The set consists of 3 muslin books, printed with the great Disney Mouse! Partly with gold elements. 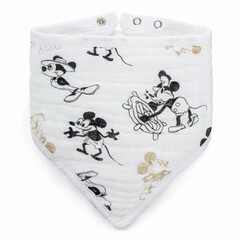 The "Musy Burp Cloths Mickey's 90th" are prewashed and made of the finest 100% muslin-quality cotton. 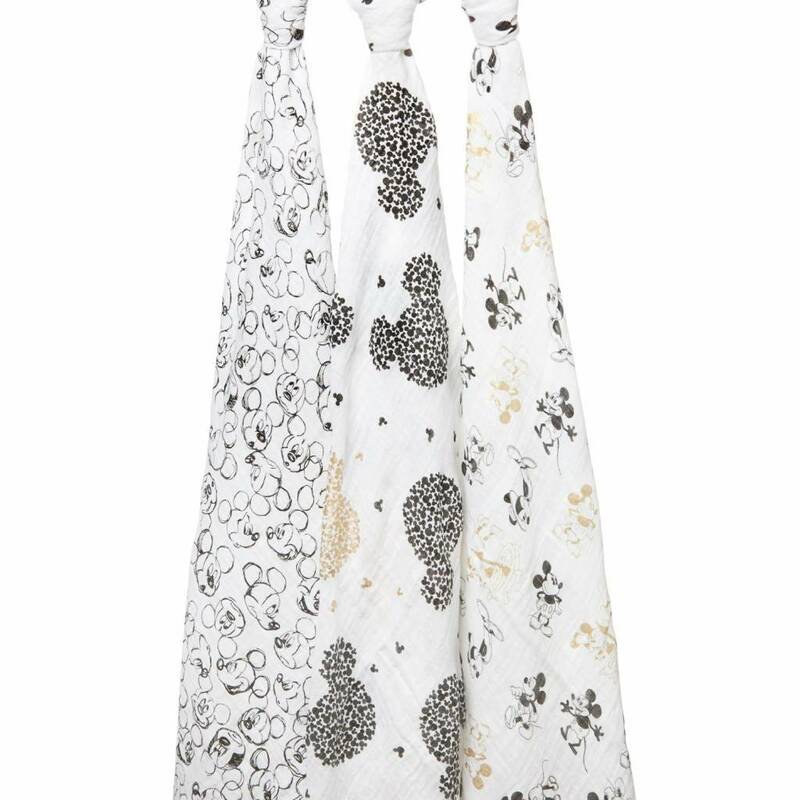 These beautiful gauze towels can be used as versatile all-round talents from birth on many occasions! 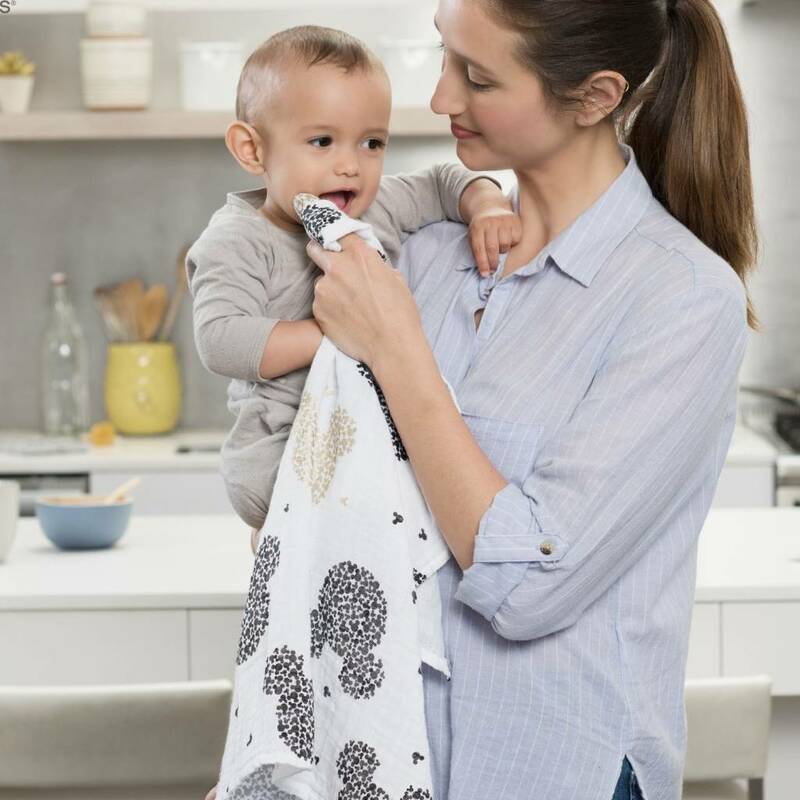 In the size 70x70cm they are breathable, ideal as puck and / or burp cloth, soft blanket, light blanket for summer or as a sun and mosquito repellent for the stroller and buggy. 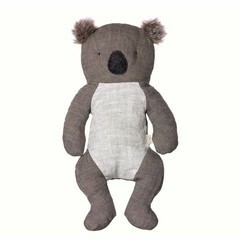 Also a great gift for the birth of a little human child.